We reserve the right to change or discontinue this Website, or any content or information we provide on the Website, in any manner and at any time, in our sole discretion without notice. We will not be liable if for any reason all or any part of the Website is unavailable at any time or for any period. We may restrict access to some parts of the Website, or the entire Website, from time to time. You may use the Website for your personal, non-commercial use only. The content and information on the Website is made available solely for general information purposes. We do not warrant the accuracy, completeness or usefulness of such content or information. Any reliance you place on such content or information is strictly at your own risk. We disclaim all responsibility and liability arising from any reliance placed on such content or information by you or any other visitor to the Website, or by anyone who may be informed of any of its content or information. This Website may include content and information provided by third parties, including other visitors to the Website, bloggers and third-party licensors, syndicators, aggregators and/or reporting services. All statements and/or opinions expressed on the Website, and all articles and responses to questions and other content or information, other than the content and information provided by Atrium, are solely the opinions and the responsibility of the person or entity providing such content or information, and do not necessarily reflect the opinion of Atrium. We are not responsible or liable to you or any third party for the accuracy, completeness or usefulness any content or information provided by any third parties on the Website. The Website and its entire contents, features and functionality, including trademarks, are owned by Atrium, its licensors or other third-party providers. 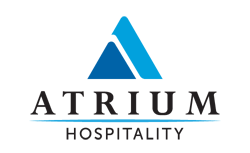 By using the Website, you agree to not infringe any intellectual property rights of Atrium, its licensors or other third-party providers made available on the Website. The Website may have links to other websites or content or information provided by third parties, which are provided for your convenience only. We have no control over the website or content or information of such third parties, and accept no responsibility or liability for them or for any liability, damage, loss, cost or expense that may arise from your use of them. If you access any of the third-party websites or content or information linked to this Website, you do so entirely at your own risk and subject to the terms and conditions of use for such websites and content and information. YOU ACKNOWLEDGE AND AGREE THAT: (I) WE CANNOT AND DO NOT REPRESENT, WARRANT OR GUARANTEE THAT CONTENT AVAILABLE FOR DOWNLOADING FROM THE WEBSITE OR WEBSITES OR CONTENT OR INFORMATION LINKED TO THE WEBSITE WILL BE FREE OF VIRUSES OR OTHER DESTRUCTIVE CODE. YOU ARE RESPONSIBLE FOR IMPLEMENTING SUFFICIENT SOFTWARE AND PROCEDURES TO SATISFY YOUR PARTICULAR REQUIREMENTS FOR ANTI-VIRUS PROTECTION AND ACCURACY OF DATA INPUT AND OUTPUT, AND FOR MAINTAINING A MEANS EXTERNAL TO THE WEBSITE FOR ANY RECONSTRUCTION OF ANY LOST DATA, AND (II) WE WILL NOT BE RESPONSIBLE OR LIABLE FOR ANY LIABILITY, DAMAGE, LOSS, COST OR EXPENSE CAUSED BY ANY DENIAL-OF-SERVICE ATTACK, VIRUS OR OTHER TECHNOLOGICALLY HARMFUL MATERIAL THAT MAY INFECT YOUR COMPUTER EQUIPMENT, COMPUTER PROGRAMS, DATA OR OTHER PROPRIETARY MATERIAL DUE TO YOUR USE OF THE WEBSITE OR ANY WEBSITES OR CONTENT OR INFORMATION OBTAINED THROUGH THE WEBSITE, OR DUE TO YOUR DOWNLOADING OF ANY CONTENT OR INFORMATION POSTED ON THE WEBSITE, OR ON ANY OTHER WEBSITES OR CONTENT OR INFORMATION OBTAINED THROUGH THE WEBSITE. YOU ACKNOWLEDGE AND AGREE THAT: (I) YOUR USE OF THE WEBSITE, ITS CONTENT OR INFORMATION, AND ANY WEBSITES OR CONTENT OR INFORMATION OBTAINED THROUGH THE WEBSITE, IS AT YOUR OWN RISK, (II) THE WEBSITE, ITS CONTENT AND INFORMATION, AND ANY WEBSITES OR CONTENT OR INFORMATION OBTAINED THROUGH THE WEBSITE ARE PROVIDED ON AN “AS IS” AND “AS AVAILABLE” BASIS, WITHOUT ANY WARRANTIES OF ANY KIND, EITHER EXPRESS OR IMPLIED, AND (III) NEITHER ATRIUM NOR ANY PERSON OR ENTITY ACTING FOR OR ON BEHALF OF ATRIUM MAKES ANY REPRESENTATION, WARRANTY OR GUARANTY WITH RESPECT TO THE COMPLETENESS, SECURITY, RELIABILITY, QUALITY, ACCURACY OR AVAILABILITY OF THE WEBSITE. WITHOUT LIMITING THE FOREGOING, NEITHER ATRIUM NOR ANYONE ASSOCIATED WITH ATRIUM REPRESENTS, WARRANTS OR GUARANTEES THAT (I) THE WEBSITE, ITS CONTENT OR INFORMATION, ANY WEBSITES OR CONTENT OBTAINED THROUGH THE WEBSITE, WILL BE COMPLETE, ACCURATE, RELIABLE, ERROR-FREE OR UNINTERRUPTED, (II) DEFECTS WILL BE CORRECTED, (III) THE WEBSITE OR THE SERVER THAT MAKES IT AVAILABLE ARE FREE OF VIRUSES OR OTHER HARMFUL COMPONENTS, OR (IV) THE WEBSITE OR ANY WEBSITES OR CONTENT OR INFORMATION OBTAINED THROUGH THE WEBSITE WILL OTHERWISE MEET YOUR NEEDS OR EXPECTATIONS. ATRIUM HEREBY DISCLAIMS ALL WARRANTIES OF ANY KIND, WHETHER EXPRESS OR IMPLIED, STATUTORY OR OTHERWISE, INCLUDING, BUT NOT LIMITED TO, ANY WARRANTIES OF MERCHANTABILITY, NON-INFRINGEMENT AND FITNESS FOR PARTICULAR PURPOSE, EXCEPT TO THE EXTENT THAT ANY SUCH WARRANTIES MAY NOT BE EXCLUDED OR LIMITED UNDER APPLICABLE LAW. IN NO EVENT WILL ATRIUM OR ANY AFFILIATE, OR ANY OF THEIR LICENSORS, SERVICE PROVIDERS OR VENDORS, OR ANY TRUSTEES, BENEFICIARIES, DIRECTORS, OFFICERS OR EMPLOYEES OF ANY OF THE FOREGOING, BE RESPONSIBLE OR LIABLE FOR ANY LIABILITY, DAMAGE, LOSS, COST OR EXPENSE OF ANY KIND, UNDER ANY LEGAL THEORY, ARISING OUT OF OR IN CONNECTION WITH YOUR USE, OR INABILITY TO USE, THE WEBSITE, ANY WEBSITES LINKED TO IT, ANY CONTENT OR INFORMATION ON THE WEBSITE OR SUCH OTHER WEBSITES, OR ANY SERVICES OR ITEMS OBTAINED THROUGH THE WEBSITE OR SUCH OTHER WEBSITES, INCLUDING, BUT NOT LIMTED TO, ANY DIRECT, INDIRECT, SPECIAL, INCIDENTAL, CONSEQUENTIAL OR PUNITIVE DAMAGES, OR LOSS OF REVENUE, LOSS OF PROFITS, LOSS OF BUSINESS OR ANTICIPATED SAVINGS, LOSS OF USE, LOSS OF GOODWILL, LOSS OF DATA, PERSONAL INJURY, PAIN AND SUFFERING OR EMOTIONAL DISTRESS, AND WHETHER CAUSED BY TORT (INCLUDING NEGLIGENCE), BREACH OF CONTRACT OR OTHERWISE, AND WHETHER OR NOT FORESEEABLE, EXCEPT TO THE EXTENT THAT ANY SUCH LIABILITY MAY NOT BE EXCLUDED OR LIMITED UNDER APPLICABLE LAW.